Displayport Male to HDMI Female. DisplayPort is the newest digital display interface standard introduced by VESA. The format supports both digital video and audio. Here is a simple solution for connecting your DisplayPort equipped devices using HDMI® cables to your exisiting HDMI® devices. This simple adapter is all you need to convert from one format to the other. Note: This is a passive adapter. 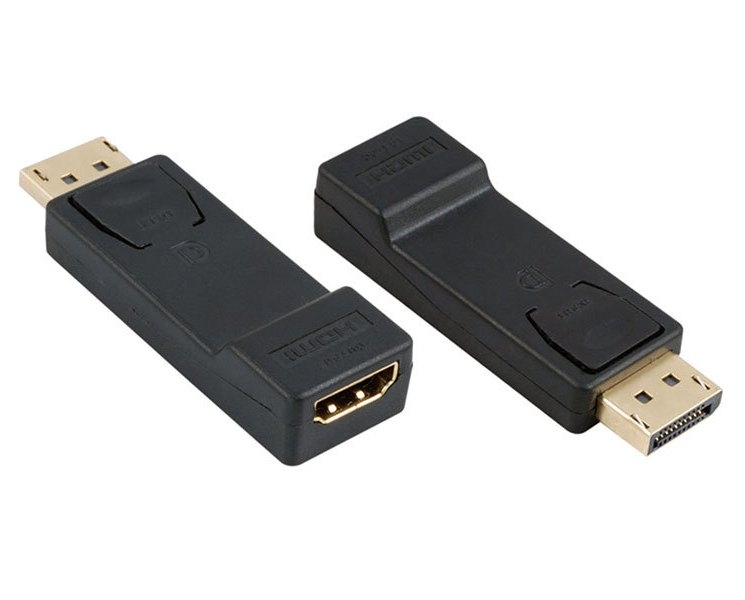 While DisplayPort connectors are capable of passing an HDMI® signal, DisplayPort and HDMI® signals are basically different and not compatible with each other. 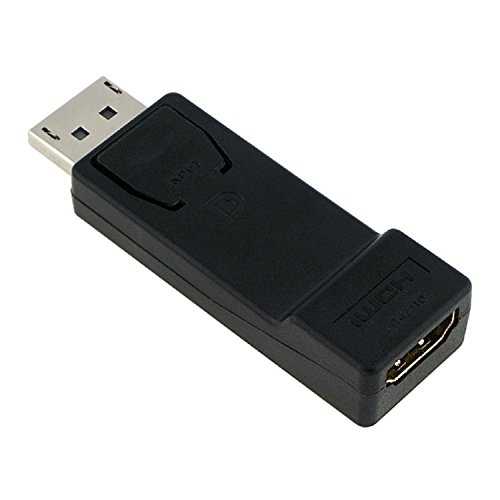 This adapter does not actively convert a DisplayPort signal into an HDMI® signal. 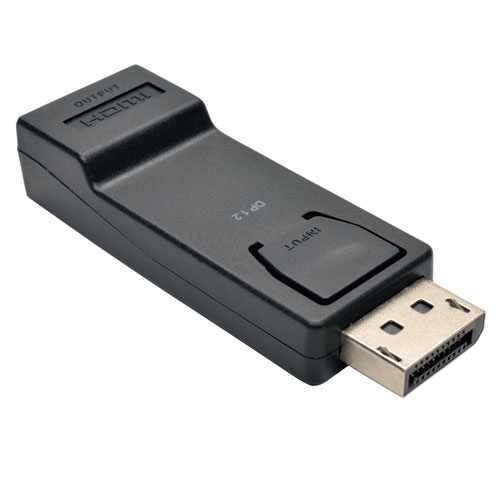 In order for this adapter to function properly, you must have a DisplayPort source device capable of producing and passing out an HDMI® signal through the DisplayPort jack.